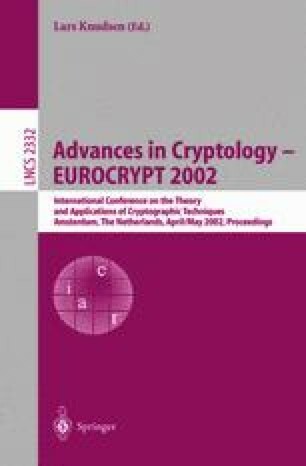 In this paper, we describe a three-stage attack against Revised NSS, an NTRU-based signature scheme proposed at the Eurocrypt 2001 conference as an enhancement of the (broken) proceedings version of the scheme. The first stage, which typically uses a transcript of only 4 signatures, effectively cuts the key length in half while completely avoiding the intended hard lattice problem. After an empirically fast second stage, the third stage of the attack combines lattice-based and congruence-based methods in a novel way to recover the private key in polynomial time. This cryptanalysis shows that a passive adversary observing only a few valid signatures can recover the signer’s entire private key. We also briefly address the security of NTRUSign, another NTRU-based signature scheme that was recently proposed at the rump session of Asiacrypt 2001. As we explain, some of our attacks on Revised NSS may be extended to NTRUSign, but a much longer transcript is necessary. We also indicate how the security of NTRUSign is based on the hardness of several problems, not solely on the hardness of the usual NTRU lattice problem. I. Mironov, A Note on Cryptanalysis of the Preliminary Version of the NTRU Signature Scheme, IACR preprint server, http://eprint.iacr.org/2001/005.